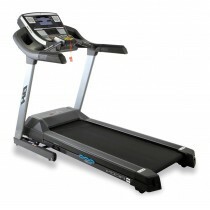 All our folding treadmills for sale get a full inspection and service before dispatch, and come with one month's warranty. 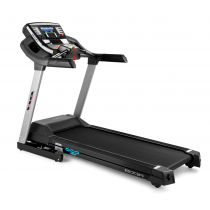 Save space and time with our selection of folding treadmills, perfect for those home cardio workouts with none of the storage hassle. Similarly, if your facility is short of open space, we recommend you browse our range of top branded folding treadmills - designed to be put away after use and allow owners to utilise their facility. 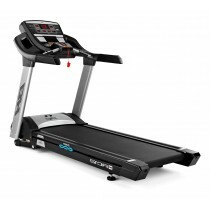 Don’t scrimp on quality - our range of folding treadmills include popular brands such as BH Fitness, designed to make cardio a luxury, not a chore. 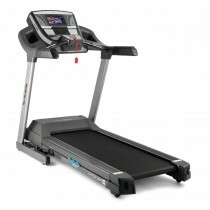 For a high-quality treadmill with advanced features including screens and heart monitors, Gymkit UK specialise in supplying new and pre-owned folding treadmills at an affordable price. 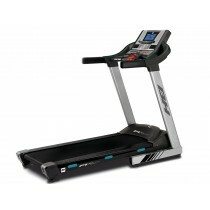 If you are looking to improve your cardiovascular fitness, then a folding treadmill could be your answer. 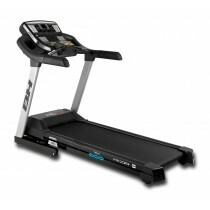 Utilise a lower incline with a faster speed to improve your overall running ability, or if you are looking to improve on power and strength, then adjust to a higher incline and lower speed setting. Whilst using a folding treadmill is not the same as running outside, taking on various elements and uneven terrain to improve your balance; allowing muscles and joints to become more adaptable is not just determined by taking on issues such as wind resistance. Treadmills and treadmill exercises have adapted over time and our advanced range work with you to achieve your goals, including effective fat burn and build muscle. 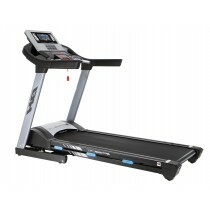 Say goodbye to calories with our selection of folding treadmills.